Here's the huge question facing fintech startups -- can they make any money? Number26Number26 cofounders Valentin Stalf, right, and Maximilian Tayenthal. With no explanation other than to cite terms and conditions allowing unexplained account closures, Berlin-based Number26 emailed a clutch of its 160,000 customers to tell them there accounts would shortly be shutting down. Many customers took to Twitter to complain. This, after all, is a bank that promised to be more like “Uber or Spotify” than a High Street lender. Number26 told BI in an emailed statement that the account closures were for “various reasons”, including suspicious activity, but admitted at least some of the closures were for a very weird reason indeed — customers using their services too much. An additional factor for cancellation notices in the last few days was highly unusual account usage that was a strong deviation to typical customer behaviour. In particular, this involved a number of customers who used their Number26 accounts almost exclusively for frequent ATM withdrawals. These customers made about 15 ATM withdrawals per month on average, and sometimes up to 30, each month for several consecutive months. The basic Number26 checking account is a free product. We do incur a network fee for every cash withdrawal. In Germany that amounts to between 1,50-2,00 € per withdrawal, which is significantly above the European average. We cover this fee with the assumption that most customers will use their accounts and this benefit, reasonably. As an extension and alternative to ATM availability we’ve also developed the Cash26 network, which provides customers with access to 6.000 German retailers for cash transactions. Our transaction fees for this service are significantly less than those incurred for equivalent ATM withdrawals. Essentially, Number26 let users withdraw money for free on the assumption that they wouldn’t really do it very much. But people did use it and it ended up costing Number26 too much money. Fintech startups in the consumer space have made promise after promise of doing things differently, reinventing business models, and putting customers first in a way banks never have. Many startups have underpinned their promises with services delivered either at cost or with razor-thin profit margins. Think of TransferWise, which charges just 0.5% on top of the mid-market rate on many international money transfers, and Revolut, which lets people spend money at the best rate abroad on its card with no commission. But these kinds of models aren’t exactly money spinners. While TransferWise’s revenues and total transfers are rocketing, the startup made a loss of £11 million in the year to March 2015, up from just £2 million the year before. 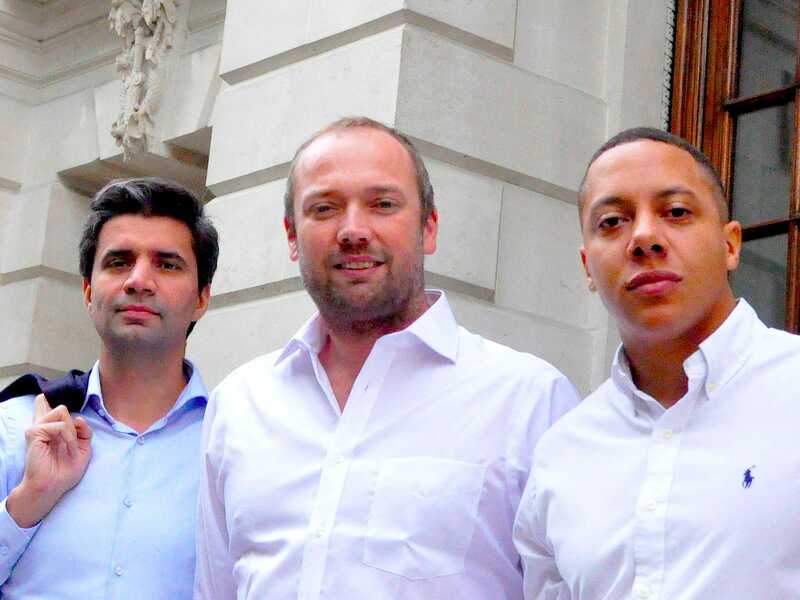 Even Funding Circle — the biggest UK peer-to-peer lender, which takes a cut of loans made over its platform — lost £10.8 million in 2014, the most recent year accounts are available for. INGBenoit Legrand, ING’s head of fintech. 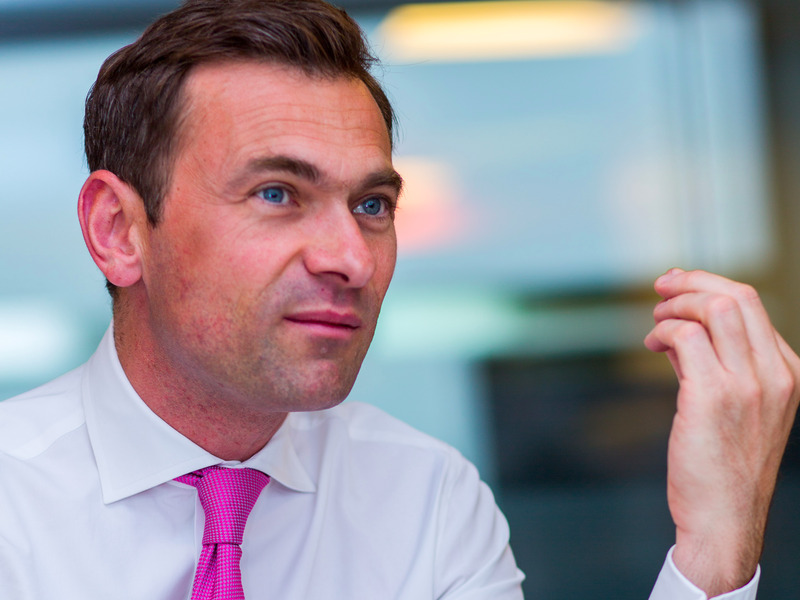 Addressing app-only startup banks specifically, Benoit Legrand, fintech head of Dutch bank ING, told BI earlier this year: “They’re flourishing everywhere but we’re still waiting for the business model to show up. Where is the money? Where is the return?” The same could be said for a lot of fintech companies. The standard reply from the industry is that these businesses are investing in growth and could recalibrate to make a profit if they wanted to. Instead, what they want to do is grow as big as possible first, then squeeze money out of all the customers they have captured. But critics say many of the business models are unsustainable and simply being supported by the financial teat of venture capital money. The likes of TransferWise and Revolut can only afford to offer such cheap services because of a plentiful supply of free and easy cash from investors that subsidises prices, so the argument goes, not because of any real technical innovation. Most fintech startups still run on the traditional infrastructure of mainstream banking. They may not have a big staff and branch network to maintain, but things like transfers and direct debits cost them the same as your Barclays or HSBCs. It is only VC money that lets them keep prices artificially low — at least that’s the argument. We could be about to see which side is right. VC cash is drying up — with investment in UK fintech startups collapsed 41% in the first quarter of the year. That could spell trouble for business models conceived during the boom times. MoneseThe Monese team, from left, Amish Mody, Norris Koppel, and Mulenga Agley. Monese began by offering banking services to customers free up to a point, then charging once they’d reached their monthly cap. But the startup found that usage would simply tail off after customers hit their monthly cap. This is a problem for all fintech businesses that have made price a key selling point. It’s easy to attract people when you’re giving something away for free or much cheaper than currently offered. But what happens when you need to make money and have to either crank up prices or sell people other products? “A lot of people now are having to look at their entire business and figure out whether it can actually stand up to monetising early on,” says Agley. Monese is now switching to a monthly subscription model, with unlimited use of their free services at a cost of £4.95 a month. Our business model remains unchanged: customers are monetized via extra products and services around the base account such as international transfers or overdraft and in the future savings or investment products, etc. To us it is very important to monetise in a fair and transparent way. Take our overdraft feature as an example – you always see the interest rate, we charge as well as the exact amount of interest already incurred in the current quarter. 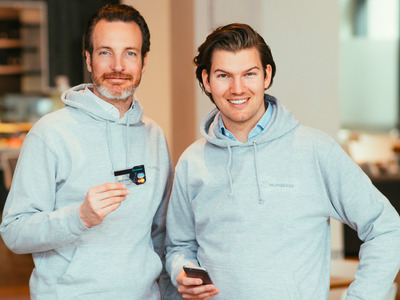 Number26 is not alone in pursuing this model of “attract customers with one thing, then sell them another.” So is German startup bank Fidor, Revolut, UK startup bank Tandem, and TransferWise’s VC backer Jan Hammer hinted it could be looking at something similar in an interview with BI last year. Banks lure customers in with current accounts which they lose money on because they hope they can then sell them a mortgage — a much more profitable product. These startups want to offer a new distribution model, selling things like third-party mortgages on to their customers and taking a cut. The theory is good and the model may well work. Complex and inflexible financial regulation makes fintech businesses much more costly to scale than a Twitter or a Facebook. Even for startups that do reach scale, we may well see customers that were drawn in with loss-leading prices turn their noses up at the bog-standard, market rate products they’re peddling on the side. Number26 is now drawing up a fair usage policy for customers in response to the account closures that will likely see users incur a charge if they withdraw over a certain amount each month from an ATM. Revolut, the international money card that takes no commission, also recently introduced a fair usage policy for cash withdrawals. It will be interesting to know how many people pay these fees, rather than switch to a rival service. We are offering the best products at the fairest price in the market and try to apply the lowest fees possible for all services. However, we have had to recognise that sustaining customers that withdraw cash 30 times a month and just for that incur cost of more than € 50/month for Number26 – as we cover the ATM fees – means that the vast majority of our customers would have to bear the significant cost burden of a very small minority. This is precisely how modern banking works, with free products like current accounts paid for by hiking prices of other things like loans and mortgages. Whether Number26’s approach of closing accounts goes down better with customers than higher prices remains to be seen. It’s too early to tell which way the die will be cast for the industry. But there should be a lot of sweaty palms at fintech startups around the country right now.